The third installment in David DeLano’s GS-hack-a-thon guest post series. For the rest of the series, click here. To make the Galileoscope really useful you need to have a better way to focus it, and need to be able to use a diagonal with it, for comfort of viewing. These are difficult problems to solve, but hopefully the information given here will resolve these issues in a relatively easy fashion. I’ll give a little bit of the process I went through to come to a usable solution, to help others come up with their own solutions. At the end, I’ll give what should be an off-the-shelf solution, though I have not used it myself. First, the focus issue – the only reasonable solution is to find a helical focuser, though in the next post I’ll show another possible solution. When I first started looking for a helical focuser, they were difficult to find, at least at a reasonable price. I eventually found a diagonal with a helical focuser at Stellarvue, but only by sending them an email and asking if they had any available standalone, as they packaged it with one of their finders. Now, however, I see that they have them on their web site, so hopefully they will remain available for anyone wanting to mod their GS. You might ask, why not just use the diagonal with the helical focuser with a Barlow lens attached, and not have to mod anything. Well, I tried this. It was a bit baffling at first, and I could not get the focus to really do anything. Then it occurred to me…by lengthening the distance between the Barlow lens and the EP lens, all I was doing was changing the magnification due to the Barlow lens. I would still need to use the push-pull focus. Stellarvue diagonal, from the Stellarvue website. 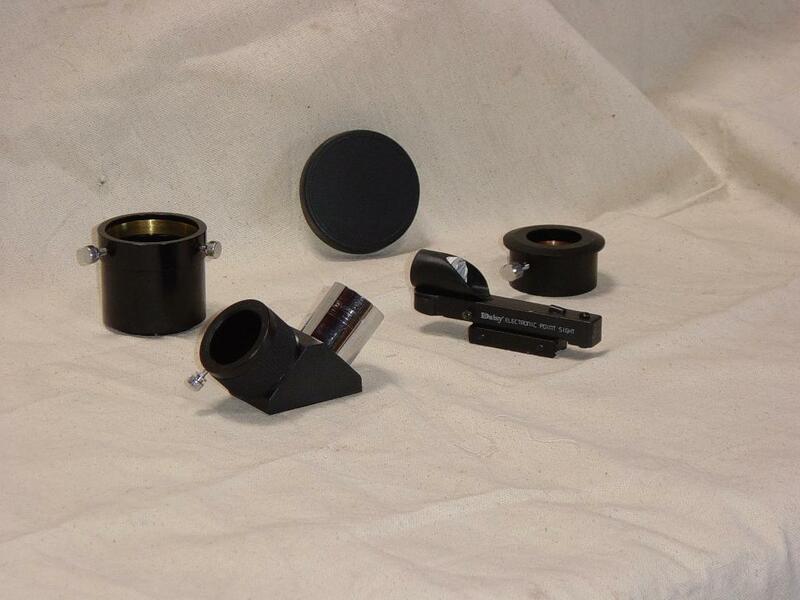 I should also note that I have received two different helical focusers from Stellarvue. The original one “worked”. The newer ones have more travel, but add a bit more to the focal length, and won’t work for all cases. What this really means is, you need to find a focal length solution that takes into account this additional length. Now on to the real mod work. The focal length needs to be shortened. I wish I could tell you how much the length needs to be shortened, but measuring the light path is not as easy as it sounds, especially through a diagonal. I should also note that this diagonal has a prism, rather than a mirror, making the measurement even more complicated. The prism does give a correct image, though, which is what you really want in a finder. So…the tube needs to be cut. This is the most difficult part of the mod, but it isn’t impossible to do. I happen to also have woodworking as a hobby, and have a nice crosscut saw, but any saw that will cut ABS plastic and give you a straight, flat cut will work. The cut will leave a bit of a rough edge, but it can be sanded or filed smooth(er). This edge will not really be seen, so don’t sweat it much. However, the truer the cut and edge you create, the easier it will be to collimate the scope, or to at least assure that it’s close to a parallel light path. Note that I’m avoiding saying this is easy to do. I run into instructions that state something is easy or simple all the time, only to find out that it’s next to impossible to do with the tools I have. But it is a reasonable, not impossible, task. I came across the place to cut the tube by experimenting. In fact, I have one tube that ended up cut too short, but I think I can give enough instructions so that others will avoid this issue. The tube itself actually gives you the spot to start, so you don’t need to measure anything. There is a baffle inside the tube at the rear. Cutting just one side or the other of this baffle is the spot to start. Once the tube is cut at this point, the focal length is very close to where it needs to be, in order to bring a diagonal into focus. The cut will look like this, to top half being cut and the bottom half not yet modified. Note that while doing all this work, remove the objective and keep it protected. Don’t add it back into the tube until you are ready to test the focus. A can of compressed air comes in handy here. You will likely have ABS chips all over the place, and they tend to cling to the tube due to static electricity. Blow everything off as cleanly as possible. If you don’t, you’ll end up with whatever is left clinging to the back side of the objective. I should also note that I use the compressed air to clean dust off the objectives. Yeah, I know you aren’t supposed to do that, but it actually works a lot better than trying to clean the objective with a cloth, and let’s face it – this objective cost all of about $15. I have yet to find any scratches on mine. Now, you have a shorter tube, but nothing to hold the tail end together, other than the O-rings, and the resulting hole is really too large for the diagonal. You could probably modify the focus tube to somehow hold the diagonal, but I could not come up with a decent solution that I was satisfied with. So I set out to find something that would fit over the newly made end of the scope. This brings me to the GS3 mod. In searching through the ABS plumbing parts, and believe me, I bought and tried a LOT of different parts, I came across a part that I think is a 2″ to 1.5″ reducer. Note that plumbing parts measure things in several different manners, and like threads, nothing appears consistent. In any case, the part will friction fit over the end of a pipe, and thus the scope, and the other end has a threaded cap and compression ring that just happens to have in ID of 1.25″. The cap will actually tighten around the diagonal barrel quite nicely. The story could end here. I used a GS with this mod for quite some time, but there are a few issues with it, and that is what set me out to find something better. First, the focal length just barely works. I could just get it to focus, most of the time, while wearing my glasses, but not without them. Matt didn’t have any issue, though he was wearing glasses also. I probably could have cut just a bit more off the tube to give more in-focus, but only if the plumbing part would actually push on further and wasn’t at it’s limit. The tube is sloped at this point, so the more you cut off, the larger the OD. It was an iffy situation that would have rendered the scope unusable if the cut didn’t work. Also, over time, the force fit became loose and I was always having to force the end back on, sometimes in the middle of a viewing session. And, one thing that I had not considered was that the scope was poorly collimated. I verified this with a refractor collimator and I wasn’t getting near the views that I should have been getting. Off to experimenting again. The breaking point was when I realized that a 2″ EP holder could be fitted over the end. This also fit more deeply onto the tube, making the cut off point more forgiving. 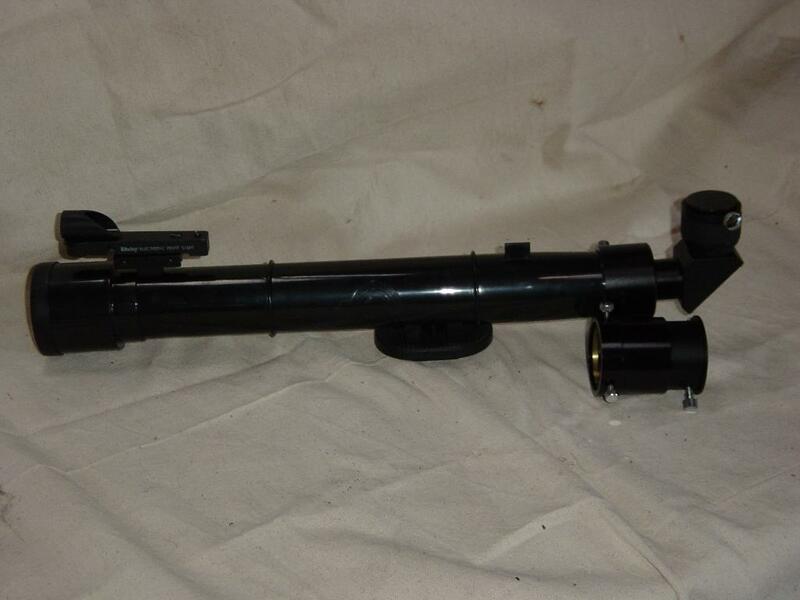 Now I just had to figure out what to fit onto the 2″ EP holder and make it short enough to bring the scope to focus. 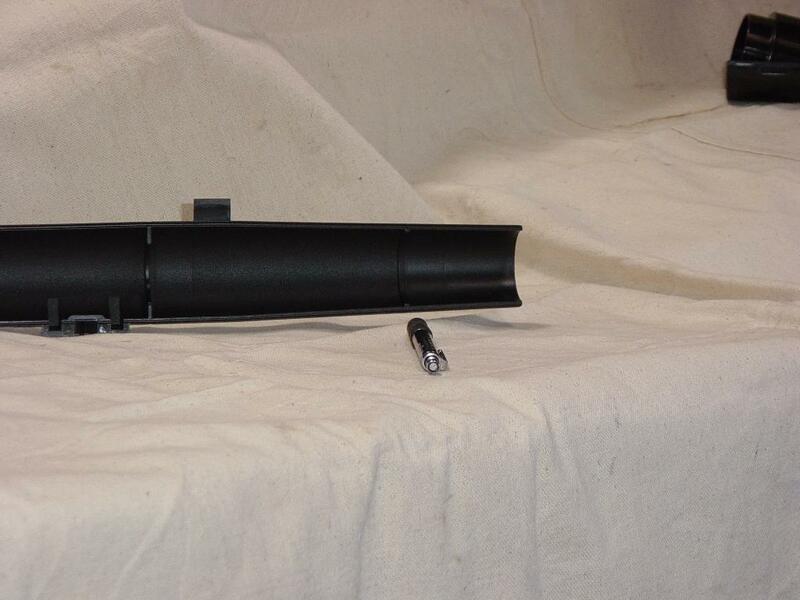 I started out with a 2″ extender that just happened to have a barrel that screwed off and had a 48mm thread. This is the same thread as a 2″ filter. Note that a 2″ to 1.25″ adapter usually has a filter thread on the bottom, and thus the two could be mated. Alas, this solution was just a bit too long. However, your mileage may vary, so feel free to experiment with parts you have on hand before buying any new parts. Actually, with the lowest profile adapter that I could find, I could barely get the scope to focus, but with no leeway, so I kept looking for another solution. In my searching, I found three different ways to mate a 2″ holder to a 1.25″ holder. There are parts with a 48mm thread, an SCT thread, and a T-thread. Some of these solutions need a Male-Male or Female-Female adapter, depending on what threads the parts have. Experiment with any of these that you might have on hand. Note that if you can put the 2″ part completely on the scope tube, you can either mark it with a pencil, or just turn it around the tube a few times. 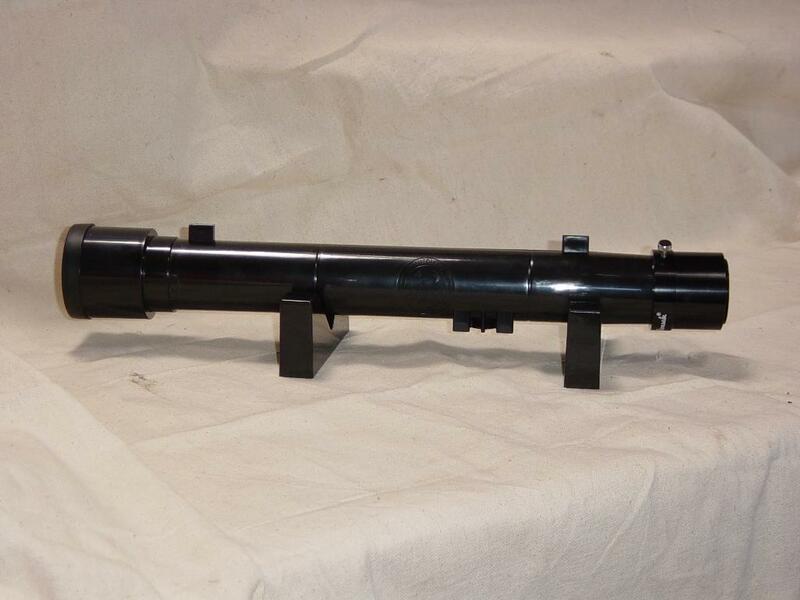 You may not be able to get the 2″ part on all the way, in which case you’ll need to estimate how much more of the tube to remove. But, as long as you leave enough room for the 2″ part to grip, you can now cut anywhere between the baffle point and the 2″ mark. I also found that the closer you can come to the inside limit of the 2″ tube, the easier it is to keep the part square as you fasten it down. 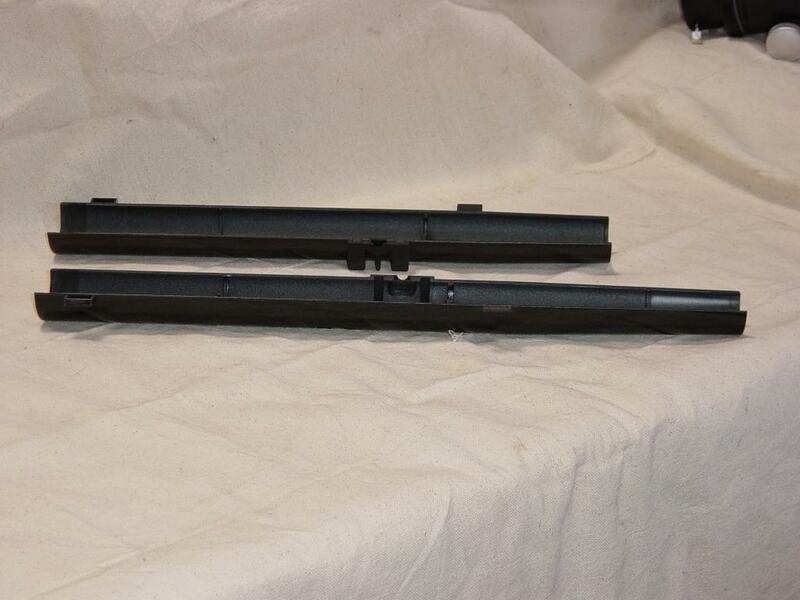 Having a 2″ part with a compression ring and two or more screws also helps. There is actually a fourth solution, and it’s the one I ended up using for Matt’s scope. A 1.25″ to 2″ adapter will work if you have the right parts. 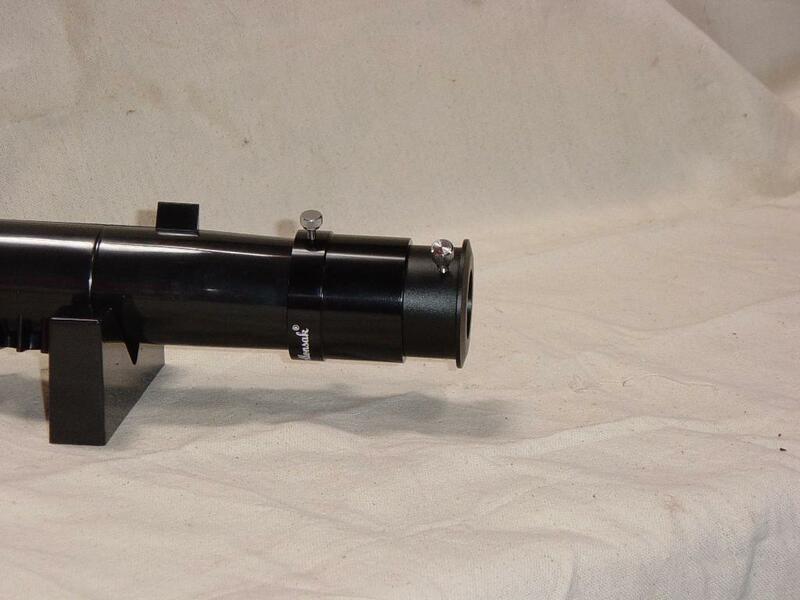 This is an adapter that allows you to use a 2″ EP in a 1.25″ focuser, not the normal 2″ to 1.25″ adapter. My original solution was to thread a spare EP holder onto the scope end of a diagonal. But, I just happened to have this part spare after converting a prism diagonal to use a helical focuser (at one point I was able to obtain a few of the helical focus EP holders as parts, not mounted on a diagonal). You are at the mercy of the threads matching if you go this route. That was the first version. I ended up buying a prism diagonal from ScopeStuff, though, to get a shorter EP holder. This diagonal happened to also take a helical focuser (threads matched) and the scope end had a barrel that was held on via a 1.25″ filter thread. So, on Matt’s final mod, the 1.25″ to 2″ adapter was screwed directly onto the diagonal body, giving the absolute maximum amount of in-focus (minimum focal length). In fact, the focal point, at least with glass on, is about in the middle of the helical focuser, which is ideal. The 2″ mated with a 1.25″ adapter is shown beside it, so that you can see the difference, around 10mm, in the focal length. After looking at the measurements of all the parts I came across I think I have a solution that should be fairly cut and dried (note I didn’t say simple or easy). It ends up that the T-thread adapters that Agena Astro covers are the shortest I could find. I think you will still need a M-M or F-F adapter to connect them, but this only adds a mm or two. 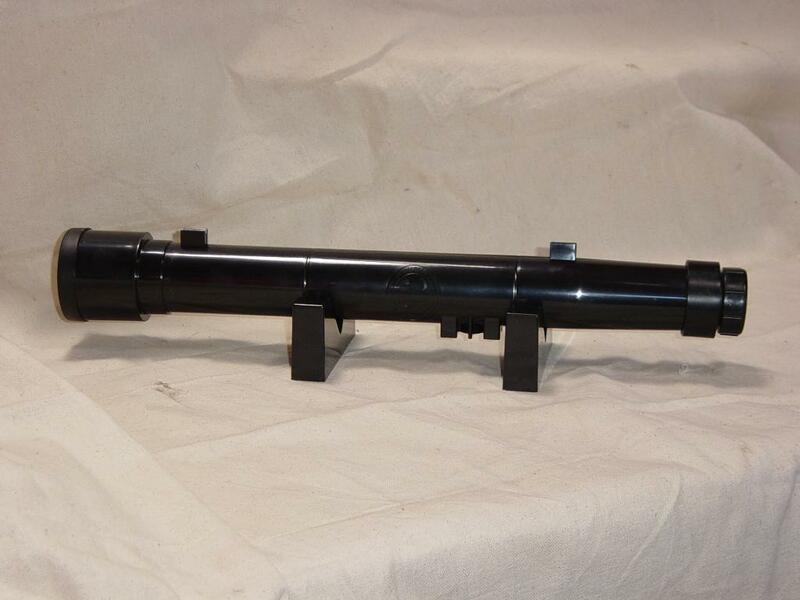 This along with the Stellarvue diagonal w/helical focuser should put you in business. And to answer Matt’s question…..by the time you get a decent way to focus and add a RACI diagonal to an otherwise inexpensive scope, you might as well buy a RACI finder. You are currently browsing the 10 Minute Astronomy blog archives for the day Sunday, March 2nd, 2014.